Funny lookin' pair of Kings! and reignites the forever unending debate whether casinos ever intentionally cheat their players. Complaints for fraud and mis-management of a casino were filed against the Marina del Sol Casino in Talcahuano, accusing it of using defaulted cards that made it impossible to win. In fact, four people who regularly attend the casino to play poker demanded to investigate the facts after it was discovered early in the morning last Wednesday that duplicate cards and even decks of 51 cards and not the full 52 made it impossible to win. 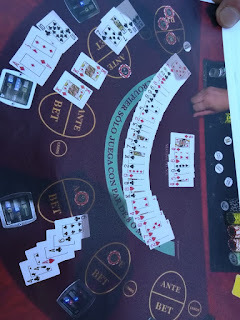 According to casino patron Cristian González, when casino authorities began reviewing the decks they discovered several irregularities, most of which concerned duplicate cards of the same value and suit. The legal action, sponsored by lawyer Abelardo Landeros, was admitted to the Court of Guarantee of Talcahuano, requesting the investigation for fraud by the Public Ministry. According to the complaint, the casino offered reparations in order to replace the money lost by those players on the games with irregular decks of cards. One of the players, Francisco Troncoso, said that sums of between 200 and 500 thousand Chilean pesos were raised, an offer that was reiterated last Thursday. 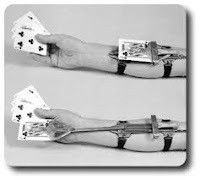 The evidence gathered during the incident confirmed the suspicions the players had about the irregularities of the cards and how those irregularities made it very difficult to win. Carlos Concha, general manager of Marina del Sol, admitted that there was an error in the case of the complainants with the control systems of the decks, by which internal measures were taken and the Superintendency of Casinos was also informed. "No one noticed, not even the dealers, that there were two or more duplicate cards in the decks used in the games," he said. Through a statement, the Superintendency of Casinos said it took cognizance of facts that could account for irregularities in the game room of Marina del Sol. In addition, the agency announced that it will officiate the casino to obtain more information, without prejudice to carry out an inspection in the field if deemed necessary. Once the complete situation with all the antecedents is analyzed, the casino will adopt the corresponding courses of action, without ruling out the beginning of an administrative sanctioning procedure. My take: Wow! This is pretty serious stuff...and the scary thing about it?...it appears to be a case of honest mistakes and dereliction. In fact, this reminds me of some American casinos that were dealing new decks of supposedly pre-shuffled cards that in fact had never been shuffled, so they came out of card shoes in their original order, allowing players catching on to this to make huge profits by betting accordingly.